We’ll start with a simple one. You should always make sure make sure the blades on your razor are sharp, and make sure there isn’t any hair or dirt under them. A sharp blade will cut off your facial hair cleanly, whereas a dull blade will tug and tear at your hair when you use it. You should also clean any hair out of your blade after each stroke, as this will keep it working longer. Try using a blade antiseptic, or just plain rubbing alcohol, on your razor before you use it. This will remove unwanted bacteria that could otherwise irritate your skin. Here at Kensington Barbers, we know that preparation is key if you want to avoid razor bumps. Before you shave, wash your face with hot water and soap, opening your pores and cleansing your skin. If you’re prone to suffering from razor bumps, then consider using a pre-shave oil to give your skin some extra protection. After you’ve shaved, make sure you apply some moisturiser or shaving balm to your skin to soothe it. Many men use aftershave but this can further irritate the skin for some so find what works for you. Give your skin more time to recover from the last time you shaved by waiting a day or two before you next go at it with a razor. Why not make your shave less regular but more of a treat by coming down to Kensington Barbers and letting one of our experts look after you? When you do shave, make sure you work up a thick lather of shaving cream over the hair. Always shave with the grain, even though this doesn’t shave as close in a single stroke, it helps further reduce the risk of razor bumps, as does using shorter lighter strokes. 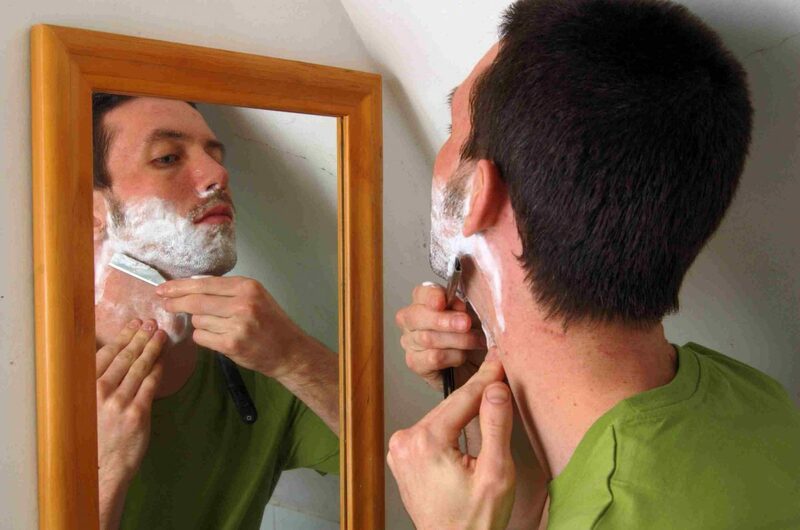 First things first, if you develop razor bumps or irritated skin after shaving, then don’t shave again for a few days. This should be obvious, but let your skin recover and a decent layer of stubble grow through before you shave again. To avoid further irritating your skin, don’t use products with alcohol but instead look for products that contain lidocaine or aloe vera. These ingredients work to prevent irritation and soothe the skin, and are found in many popular shaving balms. There are also many products available that specifically treat razor bumps and should be applied twice a day to be most effective. 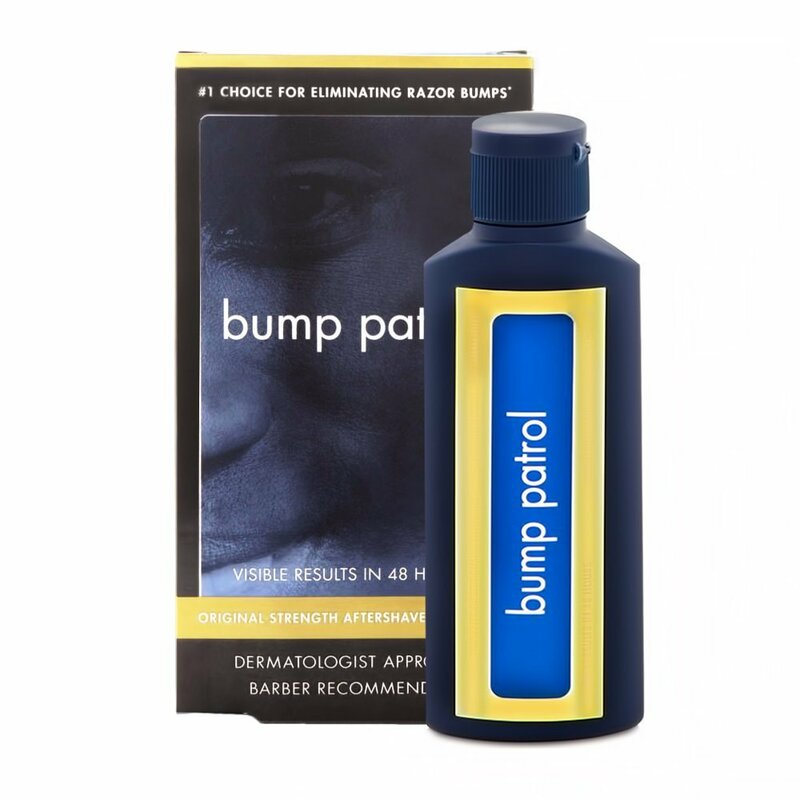 Bump Patrol is one of the leading shaving brands in the drugstore market that is specifically geared toward men who struggle and are concerned with shaving irritation. Regardless of your ethnicity if you struggle with razor burn, razor bumps, or ingrown hairs Bump Patrol will be you new best friend. It does sting the first time you use it but you do get used to it after the 3rd or 4th use. Also, it does contain alcohol so you might want to stay on top of keeping your skin moisturized.